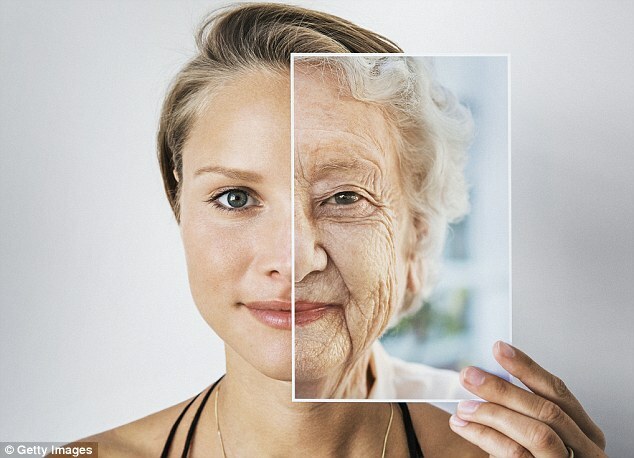 Within 5 years, the world could widely accept that we are within striking distance of a post-aging world. This could be with the achievement of mice that would normally die at the age of three getting life extension at the age of two and living beyond 5 years. It might be after that with the similar treatments to reverse aging in dogs. It could be with the first age reversal treatments in humans that make people look significantly younger but also restore muscle and other body functions. Investors would then accelerate any funding needed to complete several very promising anti-aging treatments which are currently being worked upon. They have a pipeline of more than 60 different gene therapies, which they tested on old mice, alone and in combinations. The Harvard group now plans to publish a scientific report on a technique that extends rodents’ lives by modifying two genes to act on four major diseases of aging: heart and kidney failure, obesity, and diabetes. According to Church, the results are pretty eye-popping. How soon will we see results of medical regeneration revolution? Michael D. West, Ph.D., CEO of AgeX Therapeutics, discusses the medical regeneration revolution by looking back at how advances in recombinant DNA and monoclonal antibodies helped usher in new products that improved the quality of human life after decades of research. 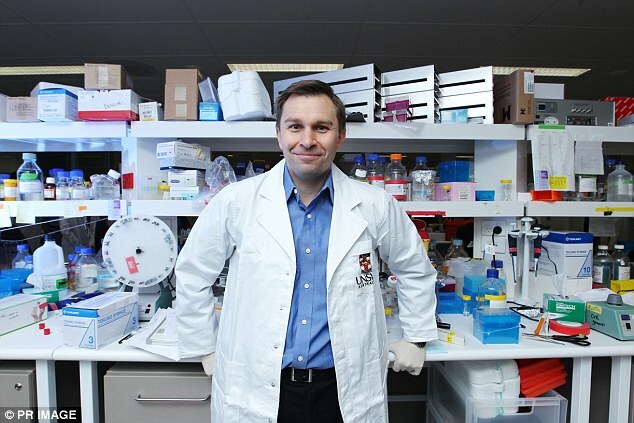 Dr. West also addresses pluripotent stem cells and how unlocking their potential will spur the next big medical revolution: regenerative medicine. West indicates that the technologies that make up regenerative medicine have already been under development for 20 years. The technologies are already maturing. Michael D. West, Ph.D. and CEO of AgeX Therapeutics, and Aubrey de Grey, Ph.D., Vice President of New Technology Discovery for AgeX, discuss the societal impact of a post-aging world and how society currently views efforts to extend human longevity. Let us imagine that the promising anti-aging and aging reversal treatments live up to their promise and are developed over the next 10-20 years. What might this look like? The developments with HIV treatments could be instructive. Consider the relatively recent success with HIV treatments. There were approximately 36.7 million people worldwide living with HIV/AIDS at the end of 2016. Approximately 70% of people living with HIV globally were aware of their HIV status in 2016. The remaining 30% (over 11 million people) still need access to HIV testing services. It took about 15 years to get to 50% of the target population treated with HIV treatments. Successful treatments for aging could see similar rollouts. Aging is the cause of 2 out of 3 deaths. There are about 157,000 deaths every day. 105,000 deaths are aging-related. If aging reversal added 80 years of longevity, then 10 years after the successful development of anti-aging treatment, perhaps 10,000 deaths per day could be delayed many decades. In 20 years perhaps 40,000 deaths per day could be delayed. Over those 20 years, there would be many more healthy people and 100 million total deaths would have been avoided. If it took 10 years to develop the treatments from today, then by 2050 the population would be 100 million higher. It would be 9.9 billion instead of 9.8 billion. People who are 80-110 would be as healthy and active and productive as people who are 50-80 today. In the 10 years after that another 250 million lives are saved that would have died from aging. The world population is 10.5 billion instead of 10.15 billion. Then another 2 billion lives are saved from 2060-2100. The world population is 15.2 billion instead of 12.7 billion. People who are 80-170 would be as healthy and active as people who are 35-60 today. Aubrey de Grey, Ph.D., Vice President of New Technology Discovery for AgeX Therapeutics, discusses how primitive organisms have better regenerative capacity than more complicated organisms such as humans. In humans, Dr. de Grey notes, our best regenerative abilities are at the embryonic stage. During the Embryonic Fetal Transition, out ability to regenerate plummets and continues to diminish as we age. Dr. de Grey discusses the role evolution plays in this and how scientists may be able to “revive” our regenerative power. Evolution chose to turn off most of the regeneration capabilities at the embryonic stage. Evolution has good reasons for making this choice but evolution has different goals than we do. Evolution does not care about individual longevity. Evolution only cares about the longevity of genetic information. It is okay for evolution if the genetic information is handed off to the next generation through reproduction. Evolution has different tools. Evolution can make smaller changes with sperm and eggs. We can make larger changes with the new genetic engineering tools. Michael D. West, Ph.D. and CEO of AgeX Therapeutics, discusses why humans age. Dr. West notes that somatic cells primarily make up the human body and that those cells have a finite ability to replicate. As each cell divides, the DNA (or genetic blueprint for the cell) has to be copied. Each time this happens, the telomere at the end of each DNA strand is shortened. The telomere shortening acts as a clocking mechanism that causes cells in the body to have a finite lifespan which, in turns, causes humans to have a finite lifespan. This differs, Dr. West says, from our reproductive lineage cells which are passed on from generation to generation. These cells include telemorase (which is an immortalizing enzyme). Dr. West and other scientists are looking at how telomerase can be turned on in other cells in the body so that they too can be immortal. The goal being to not only extend human life, but to extend healthy human life. A team of researchers at Germany’s Karlsruhe Institute of Technology have developed a quantum transistor using just a single atom, and capable of operating at room temperature. The device points toward major new frontiers in computing power and efficiency. Transistors, which control the flow of electronic signals, are the basis of modern electronics. The steady reduction in the size and energy consumption of transistors has been the fundamental driver of advances in computing power for more than half a century. The new transistor moves a single atom of silver to open and close a circuit. The materials-science news site Nanowerk describes it as the world’s smallest transistor, though other single-atom transistors have been developed previously. More importantly, the new device is described as a so-called ‘quantum’ switch, meaning it can carry more complex information than the binary “on-off” signal of today’s transistors. The most notable claim made by the researchers is that the switch can operate at room temperature, while most quantum computing elements can only operate at extremely low temperatures, making them more expensive and difficult to maintain. A peer-reviewed paper describing the new device was published in June in the journal Advanced Materials. As with most developments in quantum computing, this one, even if it can be economically produced at scale, is likely years from deployment in real-world computers. This transistor’s use of all-metal construction, rather than semiconductors, means it won’t be easily integrated into conventional computing architectures. But when they do arrive, quantum computers will do much more than save energy, which is why major players, including IBM, are investing in the technology. As one of the engineers who helped build and launch America’s first spacecraft, I’ve seen first-hand the evolution of getting into space. Today, massive rockets like Elon Musk’s Falcon Heavy nail precise landings to recover their own booster rockets. That’s astounding. Because of Musk and the space ambitions of several other billionaires, everything from asteroid mining to space medicine to space tourism is now being developed. A new “Gold Rush” into space has begun 60 years after America first entered the “Space Race”. I joined the effort to reach space in 1959 when, right out of college, I was hired by McDonald Aircraft. Contracted by NASA to develop the means to get into space we didn’t have a working rocket and we didn’t have any idea how, or if, we could keep an astronaut alive. In fact, NASA’s own medical experts expressed grave doubts whether human beings could even survive weightlessness. Some feared that zero-g would cause human intestines to explode. That’s how little we all knew. In those days most of us worked at least 18 hour days, seven days a week. We all felt we were on the front line of a desperate race with the Soviet Union. The original seven astronauts were considered mythic heroes willing to risk almost certain death to get America into space and later, to the Moon. But to put this Herculean project into perspective, remember that when JFK promised the nation that we would go to the Moon within 10 years we had less than 15 minutes of manned space flight experience. Fifteen minutes. With nothing to go by, we tried one thing after another to develop spacecraft systems that functioned in orbit. Design and fabrication of new parts and systems was happening at various places across the country. These were shipped to Florida and elsewhere where we would see if they actually worked. Many didn’t. Once, I was in the blockhouse when an unmanned Redstone rocket ignited, rose a few inches and came back down on the launch pad. With the umbilical cable already detached there was no way to remove the explosive fuel mixture from the Redstone which could have exploded at any moment. We ran for our lives, six people at a time to a vehicle outside. One man, Walter Burk, a McDonald aircraft vice-president, courageously drove a cherry picker up to the pad and re-energized the spacecraft fuel control circuits before the rocket exploded. That’s the kind of crazy determination I routinely witnessed in the early years. What we achieved way back then was nothing short of a miracle of human effort with more than a bit of luck. I don’t believe we could get to the Moon in 30 years, much less 10, with the contracting measures that NASA now employs. However, the recent arrival of private sector companies who are aiming for space has accelerated everything again. I now work, for example, with a scrappy little orbital launch company based in St. Louis, and I know of many other start-ups who remind me both of the people I worked with in the beginning of space travel and of Steve Jobs who invented a new industry in his Palo Alto garage. This is the genius of American innovation that once revolutionized world trade with the invention of fast-sailing “Yankee Clippers." These big and small companies are now innovating at a speed not seen since our race to the Moon. They, too, think “outside the box” and are developing systems and spacecraft that will open up the wealth of asteroids, create human settlements on the Moon and, in the case of the company I now work with, reduce the cost of orbital launches so dramatically that even small businesses will be able to join the new Gold Rush. Jerry Roberts was a guidance and control systems engineer on NASA's first spacecrafts and went on to work on America's space program for more than three decades. He is now a consulting engineer with Stofiel Aerospace of St. Louis which is developing a new orbital launch system. The country isn’t a world leader in autonomous or electric vehicles, but it’s all in on putting cars in the sky. The news: Japan announced today that it’s bringing together 21 companies and organizations, including big hitters like Uber, Boeing, Airbus, Cartivator, and Japan Airlines, to bring aerial vehicles to the skies within 10 years. The challenge: The government said it will address one of the major things holding back flying cars: regulation. “The Japanese government will provide appropriate support to help realize the concept of flying cars, such as creation of acceptable rules,” the ministry said. If Japan is able to quickly establish a legal system in which flying cars can function, it could get a jump start over countries like the US, whose Federal Aviation Association has been notoriously slow-moving on things like drone regulation. Not so far off: Flying cars definitely aren’t ready for the mainstream yet, but there’s been significant progress of late. Kitty Hawk, the flying taxi startup owned by Larry Page, has been testing its large air taxi over New Zealand and began giving demos of its Flyer earlier this year. Uber is planning on deploying flying taxis in only five years, including opening a hub in Paris by 2023. The process involves wrapping reflective tape around the edge of the window. Most of the light coming from the object in the picture passes through the glass, but just enough -- about 1 percent -- scatters through the window and into the camera sensor for the computer algorithm to decode the image. “Maybe not achieving AI is the danger for humanity,” Tomas Mikolov, a research scientist for Facebook AI, said at The Joint Multi-Conference on Human-Level Artificial Intelligence in Prague on Saturday. AI systems' tendency to forget the things it previously learned upon taking on new information is called catastrophic forgetting. That's a big problem. See, cutting-edge algorithms learn, so to speak, after analyzing countless examples of what they're expected to do. A facial recognition AI system, for instance, will analyze thousands of photos of people's faces, likely photos that have been manually annotated, so that it will be able to detect a face when it pops up in a video feed. But because these AI systems don't actually comprehend the underlying logic of what they do, teaching them to do anything else, even if it's pretty similar — like, say, recognizing specific emotions — means training them all over again from scratch. Once an algorithm is trained, it's done, we can't update it anymore. But still, catastrophic forgetting is one of the major hurdles preventing scientists from building an artificial general intelligence (AGI) — AI that's all-encompassing, empathetic, and imaginative, like the ones we see in TV and movies. In fact, a number of AI experts who attended The Joint Multi-Conference on Human-Level Artificial Intelligence last week in Prague said, in private interviews with Futurism or during panels and presentations, that the problem of catastrophic forgetting is one of the top reasons they don't expect to see AGI or human-level AI anytime soon. Catastrophic forgetting is one of the top reasons experts don't expect to see human-level AI anytime soon. She had developed an AI agent — sort of like a video game character controlled by an AI algorithm — that could think more creatively than a typical algorithm. It could "imagine" what the things it encountered in one virtual environment might look like elsewhere. In other words, the neural net was able to disentangle certain objects that it encountered in a simulated environment from the environment itself. This isn't the same as a human's imagination, where we can come up with new mental images altogether (think of a bird — you can probably conjure up an image of what a fictional spherical, red bird might look like in your mind's eye.) The AI system isn't that sophisticated, but it can imagine objects that it's already seen in new configurations or locations. "We want a machine to learn safe common sense in its exploration so it's not damaging itself," said Higgins in her speech at the conference, which had been organized by GoodAI. She had published her paper on the preprint server arXiv earlier that week and also penned an accompanying blog post. Let's say you're walking through the desert (as one does) and you come across a cactus. One of those big, two-armed ones you see in all the cartoons. You can recognize that this is a cactus because you have probably encountered one before. Maybe your office bought some succulents to liven up the place. But even if your office is cactus-free, you could probably imagine what this desert cactus would look like in a big clay pot, maybe next to Brenda from accounting's desk. Now Higgins' AI system can do pretty much the same thing. With just five examples of how a given object looks from various angles, the AI agent learns what it is, how it relates to the environment, and also how it might look from other angles it hasn't seen or in different lighting. The paper highlights how the algorithm was trained to spot a white suitcase or an armchair. After its training, the algorithm can then imagine how that object would look in an entirely new virtual world and recognize the object when it encounters it there. "We run the exact setup that I used to motivate this model, and then we present an image from one environment and ask the model to imagine what it would look like in a different environment," Higgins said. Again and again, her new algorithm excelled at the task compared to AI systems with entangled representations, which could predict fewer qualities and characteristics of the objects. In short, the algorithm is able to note differences between what it encounters and what it has seen in the past. Like most people but unlike most other algorithms, the new system Higgins built for Google can understand that it hasn't come across a brand new object just because it's seeing something from a new angle. It can then use some spare computational power to take in that new information; the AI system updates what it knows about the world without needing to be retrained and re-learn everything all over again. Basically, the system is able to transfer and apply its existing knowledge to the new environment. The end result is a sort of spectrum or continuum showing how it understands various qualities of an object. Higgins' model alone won't get us to AGI, of course. But it marks an important first step towards AI algorithms that can continuously update as they go, learning new things about the world without losing what they already had. "I think it's very crucial to reach anything close to artificial general intelligence," Higgins said. And this work is all still in its early stages. These algorithms, like many other object recognition AI tools, excel at a rather narrow task with a constrained set of rules, such as looking at a photo and picking out a face among many things that are not faces. But Higgins' new AI system is doing a narrow task in such a way that more closely resembles creativity and some digital simulation of an imagination. And even though Higgins' research didn't immediately bring about the era of artificial general intelligence, her new algorithm already has the ability to improve the existing AI systems we use all the time. For instance, Higgins tried her new AI system on a major set of data used to train facial recognition software. After analyzing the thousands and thousands of headshots found in the dataset, the algorithm could create a spectrum of any quality with which those photos have been labeled. As an example, Higgins presented the spectrum of faces ranked by skin tone. Higgins then revealed that her algorithm was able to do the same for the subjective qualities that also find their ways into these datasets, ultimately teaching human biases to facial recognition AI. Higgins showed how images that people had labeled as "attractive" created a spectrum that pointed straight towards the photos of young, pale women. That means any AI system that had been trained with these photos — and there are many of them out there — now hold the same racist views as do the people who labeled the photos in the first place: that white people are more attractive. This creative new algorithm is already better than we are when it comes to finding new ways to detect human biases in other algorithms so engineers can go in and remove them. So while it can't replace artists quite yet, Higgins' team's work is a pretty big step towards getting AI to imagine more like a human and less like an algorithm. A Queen's University research team has taken a page from history, rolled it up and created the MagicScroll – a rollable touch-screen tablet designed to capture the seamless flexible screen real estate of ancient scrolls in a modern-day device. Led by bendable-screen pioneer Dr. Roel Vertegaal, this new technology is set to push the boundaries of flexible device technology into brand new territory. The device is comprised of a high-resolution, 7.5" 2K resolution flexible display that can be rolled or unrolled around a central, 3-D-printed cylindrical body containing the device's computerized inner-workings. Two rotary wheels at either end of the cylinder allow the user to scroll through information on the touch screen. When a user narrows in on an interesting piece of content that they would like to examine more deeply, the display can be unrolled and function as a tablet display. Its light weight and cylindrical body makes it much easier to hold with one hand than an iPad. When rolled up, it fits your pocket and can be used as a phone, dictation device or pointing device. "We were inspired by the design of ancient scrolls because their form allows for a more natural, uninterrupted experience of long visual timelines," says Dr. Vertegaal, Professor of Human-Computer Interaction and Director of the Queen's University Human Media Lab. Another source of inspiration was the old rolodex filing systems that were used to store and browse contact cards. The MagicScroll's scroll wheel allows for infinite scroll action for quick browsing through long lists. Unfolding the scroll is a tangible experience that gives a full screen view of the selected item. Picture browsing through your Instagram timeline, messages or LinkedIn contacts this way." Beyond the innovative flexible display, the prototype also features a camera that allows users to employ the rolled-up MagicScroll as a gesture-based control device – similar to that of Nintendo's 'Wiimote'. And the device's rotary wheels contain robotic actuators that allow the device to physically move or spin in place in various scenarios, like when it receives a notification for instance. "Eventually, our hope is to design the device so that it can even roll into something as small as a pen that you could carry in your shirt pocket," says Dr. Vertegaal. "More broadly, the MagicScroll project is also allowing us to further examine notions that screens don't have to be flat, and 'anything can become a screen.' Whether it's a reusable cup made of an interactive screen on which you can select your order before arriving at a coffee-filling kiosk, or a display on your clothes, we're exploring how objects can become the apps." 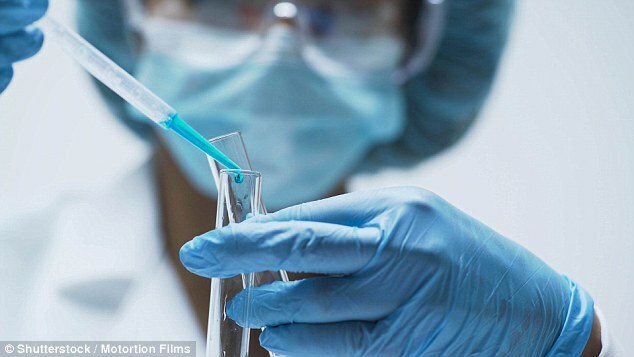 Human testing is due to begin in 2020, and Professor Sinclair said he hoped the pill would be available to the public within five years and cost the same each day as a cup of coffee (stock image). Het is dus een soort high-tech show. Ik krijg hier een nogal "unheimisch" gevoel bij. Sowieso vind ik al die computerspellen met veel geweld, zoals "Fortnite", een gotspe. Maar ook zo'n "onecht overhyped blij" optreden van de presentator geeft mij altijd het gevoel met één of andere oplichterij geconfronteerd te worden. Maar dit is dus wel waar ze jongeren gek mee maken. Voor mijn gevoel deugt het allemaal niet. 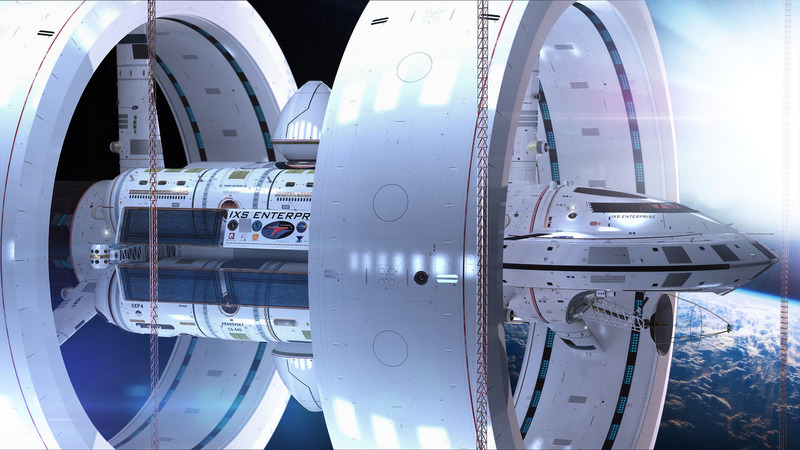 NASA’S STUNNING BREAKTHROUGH: Its First Warp Drive... Is a TRUE Mindblower! BREAKTHROUGH: Caltech's new material can propel spacecraft to 20% of the speed of light. A NEW material capable of propelling spacecraft to 20% of the speed of light has been engineered, fuelling hopes of imminent interstellar travel. 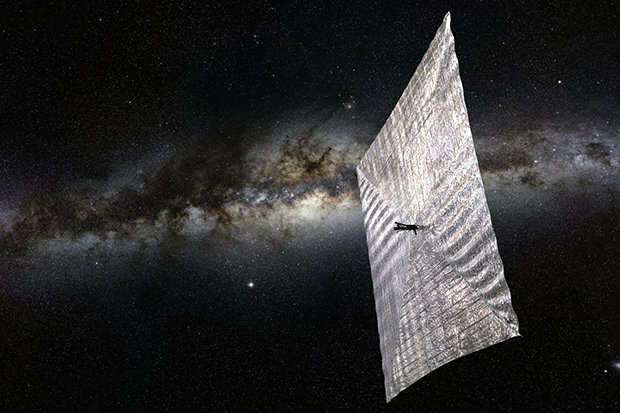 Before man can cross the vast distances of space, the designs of spacecraft's sails will be key – striking a delicate balance between mass, strength and reflectivity. The team has figured out that super-thin structures made of this composite can transform infrared light waves into a momentum that would accelerate a probe to 134,000,000 mph. Speeds like this can carry a small probe to our closest stellar neighbours, a huddle of stars called Proxima centauri, within decades rather than millennia. And it will enable humans to search nearby solar systems for extra-terrestrial life. The Caltech engineers are exploiting the inertia of photons to reach the astronomical speeds required to cover big distances in relatively short amounts of time. Unlike chunky air molecules, light doesn't have a resting mass, so it doesn't “blow” in the same way wind does. 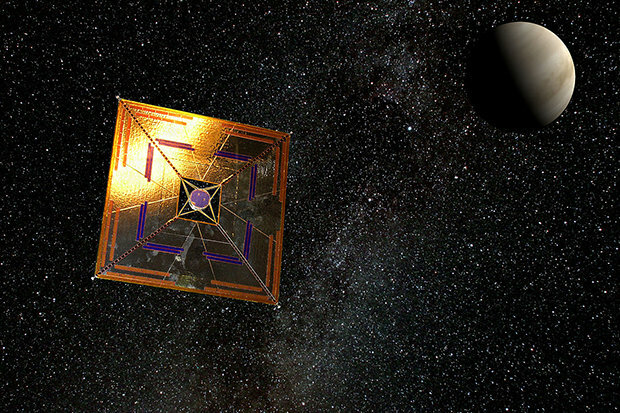 NASA: The material, made out of silicon and its oxide, silica, will be used in solar sails. 134,000,000 mph is ongeveer 20% van de lichtsnelheid in vacuum. xplosive schreef: 134,000,000 mph is ongeveer 20% van de lichtsnelheid in vacuum. Het hoofdbestanddeel van roest is een goedkoop en veelbelovend materiaal om snellere ICT-toepassingen mogelijk te maken terwijl daarbij minder warmte vrijkomt. Dit blijkt uit een combinatie van experimenteel en theoretisch onderzoek van natuurkundigen van de Johannes Gutenberg Universität Mainz in Duitsland, de Norwegian University of Science and Technology (NTNU) en Rembert Duine en Scott Bender van de Universiteit Utrecht. Hun resultaten zijn gepubliceerd in het wetenschappelijke tijdschrift Nature van 13 september. Bits en bytes worden nu verwerkt en verstuurd door elektronische componenten, zoals transistors verbonden door bedrading op een chip. Hierbij produceren ze vrij veel warmte waardoor ook de snelheid waarmee ze informatie kunnen versturen begrensd is. Deze eigenschappen belemmeren ontwikkelingen in de ICT, waarvoor zulke componenten kleiner, sneller en vooral niet warmer moeten worden. De Nature-publicatie laat nu zien dat een groep magnetische materialen, de anti-ferromagneten, een goedkoop en veelbelovend alternatief zijn voor sneller informatietransport met minder warmteproductie. Bijkomend voordeel hiervan is dat kostbare energie kan worden bespaard. Ferromagnetische materialen, zoals ijzer, bestaan uit kleine magneetjes, domeinen, die allemaal hetzelfde georiënteerd zijn en daardoor op dezelfde manier reageren op een magnetisch veld. Anti-ferromagnetische materialen, zoals roest (ijzeroxide), bestaan uit microscopisch kleine magneetjes die in tegengestelde richtingen georiënteerd zijn. 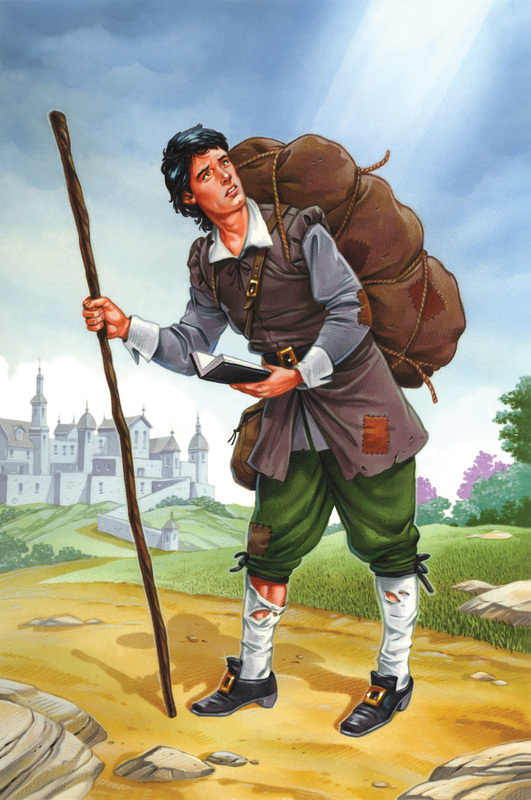 Beide oriëntaties wisselen elkaar af in een geordend patroon, waardoor de magnetische velden elkaar opheffen. Wel is het mogelijk om in deze materialen een magnetische golf te creëren, die een magnon of spingolf wordt genoemd. In anti-ferromagnetische materialen zijn het deze magnons die de bits en bytes aan informatie kunnen transporteren. ICT gebaseerd op anti-ferromagnetische onderdelen, kan mogelijk duizenden keren sneller zijn dan de huidige technologieën. Bovendien is de warmteproductie door magnons in principe veel lager. Daardoor zouden hiermee nog veel kleinere componenten met tegelijkertijd een hogere informatiedichtheid gemaakt kunnen worden. “Deze uitkomsten laten zien dat anti-ferromagnetische in principe materialen geschikt zijn om de huidige componenten te vervangen. Snelle devices gebaseerd op deze technologie liggen nu binnen bereik”, aldus Dr. Romain Lebrun van de Johannes Gutenberg Universität.” Volgens Rembert Duine van de Universiteit Utrecht en de TU Eindhoven, kan deze techniek in tien tot vijftien jaar toegepast worden. *Verbonden aan de Universiteit Utrecht; Rembert Duine is ook parttime hoogleraar Spin-based Nanoelectronics aan de Technische Universiteit Eindhoven. De Chinese reus roert zich danig. En ze hebben daar niet zo'n last van moslims als wij hier en ze gaan daar bovendien anders met moslims om dan wij hier. Als de komende jaren de zelfrijdende auto de weg op mag, moet deze auto eerst rijexamen doen. Wordt dat naar behoren afgelegd, dan krijgt het autonoom rijdende voertuig een rijbewijs S, waarbij de S staat voor software. Het is de bedoeling dat het nieuwe rijbewijs eerst nationaal wordt opgezet, gevolgd door een internationaal toelatingsproces. Het Centraal Bureau Rijvaardigheidsbewijzen (CBR), de dienst wegverkeer RDW en RobotTuner, een bureau in Wageningen dat zich bezighoudt met kunstmatige intelligentie in de mobiliteit, werken samen aan het zogeheten 'Software Driving License Project'. Dinsdag presenteren ze de meest recente ontwikkelingen op dit gebied tijdens een congres op de Nationale Rijschooldag in Drunen. Het CBR wil de digitale beoordelingsmethodiek in de toekomst niet alleen voor intelligente machines gaan hanteren, maar mogelijk ook voor menselijke bestuurders. Over zijn redenen om naar de maan te vliegen, zegt Maezawa het volgende. “Ik houd al van de maan sinds ik een kind was (...) de maan spreekt tot de verbeelding: hij is er altijd en heeft de mensheid voortdurend geïnspireerd. En daarom kon ik de kans om de maan van dichtbij te zien niet voorbij laten gaan. Tegelijkertijd wilde ik die fantastische ervaring niet alleen meemaken, want dat zou heel eenzaam zijn. En ik houd er niet van om alleen te zijn. Dus ik wil deze ervaring met zoveel mogelijk mensen delen. Daarom heb ik ervoor gekozen om naar de maan te gaan met kunstenaars uit alle delen van de wereld.” Maezawa hoopt dat zij geïnspireerd worden door de ruimtereis en dat daar kunstwerken uitrollen die mensen op aarde weer inspireren. Welke kunstenaars er met Maezawa meegaan, is nog onduidelijk. Tijdens de persconferentie maakte Maezawa bekend om – samen met SpaceX – de komende jaren op zoek te gaan naar bijvoorbeeld architecten, schilders, beeldhouwers, fotografen, musici, mode-ontwerpers en filmregisseurs die tot de top binnen hun vakgebied behoren. Uiteindelijk zullen er zes tot acht gekozen worden voor deelname aan het kunstproject dat Maezawa ‘dearMoon’ heeft gedoopt. Only a lucky handful of artists and a Japanese billionaire will take a trip on a rocketship to the moon with SpaceX. But the moonshot won't just be televised; you'll get to experience it from Earth in virtual reality. That's the message from SpaceX CEO Elon Musk on the upcoming private moon flight of entrepreneur Yusaku Maezawa, which Musk unveiled to the world Monday (Sept. 17). Maezawa will launch on a trip around the moon on SpaceX's new Big Falcon Rocket (BFR), and he plans to take between six and eight artists along for the ride. The flight, called the Lunar BFR Mission, could launch as early as 2023, and we'll all be able to watch it live and in VR, Musk said. There might even be entertainment. "Perhaps one of the invited artists choosing to play. There will be no obligation to do so," Musk said after posting an artist's illustration of a violinist performing on a potential mission, her gown flowing in weightlessness behind her. When asked how SpaceX could accomplish the Herculean feat of providing a high-definition VR broadcast in real time, Musk said the company's new Starlink communications satellites could handle the load. "Yeah, Starlink should be active by then," he wrote. SpaceX is developing a constellation of more than 4,000 Starlink communications satellites to provide broadband internet access around the Earth. The first two prototype Starlink satellites launched earlier this year. The Lunar BFR Mission will send Maezawa and his artist guests on a loop around the moon using SpaceX's BFR booster and its crewed spacecraft, the Big Falcon Spaceship (BFS). The BFR-BFS launch system will be the largest rocket in the world once it's assembled, standing a whopping 387 feet (118 meters) tall. It is designed to be fully reusable and be able to launch up to 100 people and 110 metric tons (100 metric tons) of cargo into space. SpaceX has tapped the BFR-BFS launch system as the centerpiece for the company's Mars colony plan, an ambitious goal to send explorers to Mars and build a new home on the Red Planet. The crewed spaceship, Musk has said, will be able to land on Mars, the moon and any other planetary body, and could also fly point-to-point trips on Earth. The BFR booster will separate from its crewed spacecraft and return to Earth much like SpaceX's Falcon 9 and Falcon Heavy first-stage boosters do today. One Twitter fan asked Musk if SpaceX would ever consider a contest or raffle to allow members of the general public, not just the ultrarich, to go on a trip to the moon. "Long-term, there will be thousands and eventually, hopefully, millions of missions & anyone will be able to go," Musk wrote on Twitter. And those flights might just come with some welcome comforts from Earth. One Twitter user suggested the BFS could use a bar. The Space Egg is the latest robo-porter we’ve seen unveiled in recent years. There’s also Botlr, a “robot butler” built by Savioke for hotels; HOSPI, which is made by Panasonic and designed to ferry medical supplies around hospitals; and LG’s CLOi range, which includes bots that are intended to serve drinks in bars and tote luggage around airports. All have pretty similar capabilities (they’re basically boxes on wheels that move small items from A to B), and none have become widespread (although the field is still in its infancy). Where Alibaba’s creation stands out is its functionality and provenance. For a start, the bot is integrated with the company’s AI assistant, Tmall Genie, which does a similar job as Alexa in Alibaba’s own smart speakers. With Genie integrated into hotel rooms, guests can use voice commands to order items, which are then delivered by Space Egg.